It's amazing to see who this woman was before she decided to share with the world her sensational talent by becoming a singer. Previously a bank manager, then a teacher - Tara Brown is the newest and hottest singer to grace the UK music scene at just the age of 28. The London hailing singer and songwriter is a fresh musical talent who fundamentally channels herself, whilst reflecting the finest principles of R&B, Jazz and some Gospel music in her vocabulary. 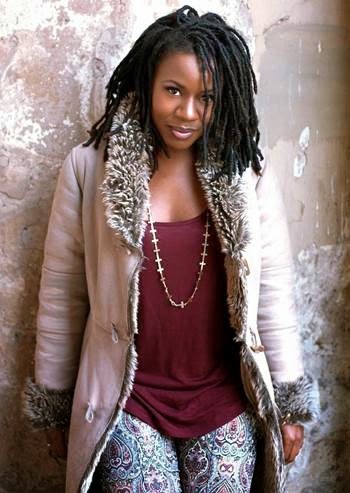 Within a short space of time since she emerged on the scene, Tara Brown has already been pinned as the next Lauryn Hill and has even been compared to the icon, as well as being compared to Tracy Chapman. With an incredible voice like this and timeless talent it will be no surprise when we see Tara Brown take over the mainstream charts. ‘Bitter Pill’ is the latest release from Tara and is a great reflection of her sound and artistry. Bringing together Jazz, and adding some Soul into this one, ‘Bitter Pill’ is the lead single off her debut album ‘Disappear Imperfect’ released back in January. Tara Brown has already been seen supporting the legendary Israel Houghton and has even taken to the stage to perform at the renowned venue Jazz Cafe.